There is no doubt youth problems are enormous. Family structure is disintegrating and the widespread breakdown of a stable family life adds to children’s vulnerability, moral values are in decline, drug and gang-related peer pressure is skyrocketing, negative media influence is staggering, drug use is rampant, and positive role models are scarce. In fact, some say youth violence is our most important issue. Juveniles are victimized more than any other age group. Although only one-tenth of the population, they are victims in one out of every four violent crimes. 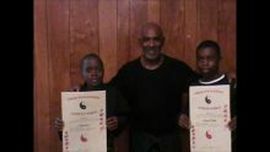 The Community Youth Martial Arts Program (Karate At Another Level) has been operating successfully for the past 2three years. It was created by "Sensei" Willie Dortch (Head Instructor), "Sensei" Donald Brown (Instructor), and "Senpai" Manny Dambreville (Student Instructor). We all agreed our youth face enormous challenges every day. Influential media, video games, factors such as physical and mental abuse, peer pressure, community violence and traumatic events. These are all extremely powerful conditioning effects, but they are not insurmountable if, those who can help do help. The program has become more than just another gym or dojo for youth in our community. We place emphasis on skill and competition but a more important truth is that we are also mentors who teach the importance of self, family, respect, morals, kindness, discipline and honor. A serious effort had to be made to reach out to the young in our community who are "our future". Our program has been successful in doing so! 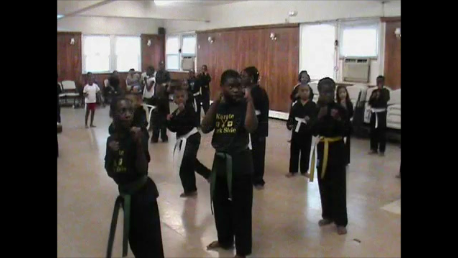 The program is designed to empower youth in our community not only with Martial Arts skills, knowledge, and true history but also with; Leadership Skills, Self-Discipline, Discipline, Respect, Self-Respect, Compassion, Critical Thought, How to Deal With Bullying, and LOVE. Collectively this ensures the Communities' future will be bright. It also ensures that each child is equipped with the proper tools to make sure his or her future will be one with limitless success. We maintain constant contact with the parents / guardians of our students in order to know “first hand” how they (our students) are doing outside of the dojo, including but not limited to: School, home, socially, physically, mentally, and spiritually. And we make sure our students know this! We, at Karate At Another Level, believe “There is always an opportunity to make a difference in their world” and have chosen to provide a safe, welcoming, but disciplined environment where the young can come and dedicate themselves to improving their physical and mental health. Some place where they will receive respect and learn how to give respect, experience self-confidence, learn to use good judgment, and realize that "They have greatness within".